• Rumours sold over 45 million copies worldwide, making it the sixth-highest-selling album of all time. The bands that just play blues these days don't seem to be doing anything. It's just not being played right. I mean, if it's being played well, I'm sure the people would like it. The record business is @#$%& up the whole scene. There should be more free music. I think the people are putting too much responsibility on the bands for charging too much. And it's got nothing to do with them. Think of all the bands that charge exorbitant fees. You're right. The reason is there was no time to change stuff. All the poetry was pulled straight out of the journals from the tour. All those words are exactly as they were written in my diaries during the post-9I1 1 period. We felt that we should go around this trip one more time because we could. 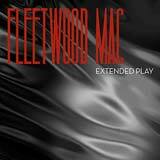 We knew that Fleetwood Mac, as a band, could make another studio record that the world would love. Grammy Award for Album of the Year (Rumours). Brit Awards for Outstanding Contribution to the British Music Industry.